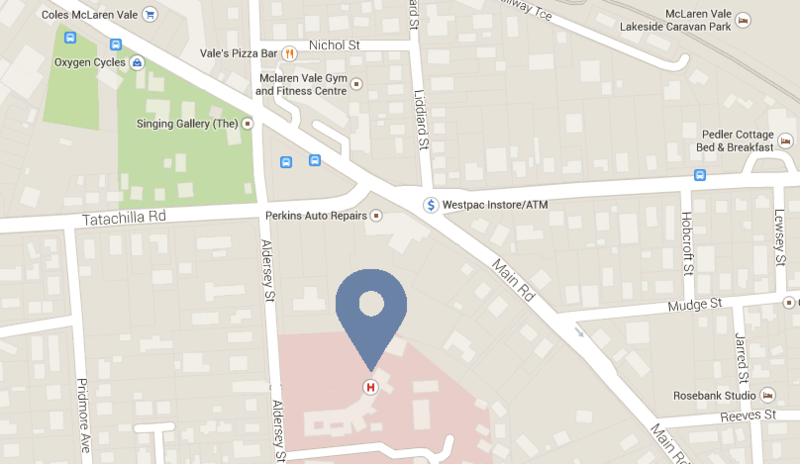 Your community hospital in the heart of McLaren Vale. We offer a range of quality hospital, healthcare and related services for the benefit of the community. Whether it be a routine procedure such as colonoscopy, an overnight stay in hospital or more complex surgery our patients receive the finest care delivered by dedicated staff. 'A Spirit of Excellence' is not just our motto but a way of life. Read the blog post about the best hospital wine list! Find out how to get refered to us by your medical practitioner. Refer a patient to the hospital for a range of services. Support your local hospital by becoming a member, all for just $10. We do not have an emergency department. Noarlunga Hospital is the closest. Dial 000 in an emergency.